The Docklands in East London includes areas from various boroughs such as Tower Hamlets, Greenwich, Southwark and Newham. It is also the location of Canary Wharf, one of the major financial centres of the capital. The Docklands used to be the largest port in the world during the Victorian period, but it fell into decline when ships outgrew the docks. Since the 1980s it has been redeveloped, and it is now one of the most exclusive areas in London. Property in the area is made up of both commercial and residential property. While many people reside here, it is also an important base for large corporations. Part of the regeneration involved converting old warehouses into luxury apartments, which make up much of the property in the area. The area boasts excellent transport links. The Isle of Dogs has a tube connection on the Jubilee Line Extension, and the Docklands Light Railway (DLR) is the main way to travel through the Docklands. The Docklands is densely populated. The main type of accommodation here is made up of flats, most of which were built following the regeneration in the 1980s. Flats to rent and buy are popular with young professionals, and especially those working in Canary Wharf. Only a very small amount of detached housing is available in the Docklands. This is mainly because the area is more popular with single people and couples than families. Different areas in the Docklands vary in the types of accommodation available. For example, there are many warehouse conversions in Narrow Street in Limehouse, like Molines Wharf, whereas Westferry and Eastferry have a wider choice of properties including council houses and period properties. New complexes are common, such as Victory Place in Limehouse, which is made up of one-to-three bedroom apartments with balconies, and No. 1 West India Quay, which has over 150 apartments. The Docklands area has a number of primary and secondary schools for families to choose from. Primary schools in and around the Docklansd include St. Peter's London Docks Primary School, Calverton Primary School, Vicarage Primary School, Hallsville Primary School, Keir Hardie Primary School and Drew Primary School. Secondary schools include Cumberland School, Brampton Manor Academy, Mulberry School for Girls, Oaklands Secondary School, Phoenix School, Ian Mikardo High School and The Royal Docks Community School. The DLR is expected to extend in coming years. There are also plans for a mainline link between Canary Wharf and Heathrow Airport. A new skyscraper is to be built by the same architects who designed the Tate Modern. The 57-storey building will include over 3,000 luxury homes and two new hotels. Over 400,000 square feet of space is going to be developed for leisure and retail. It will include shops, facilities and nearly nine acres of land for the public. The first phase is set to be completed in 2018. 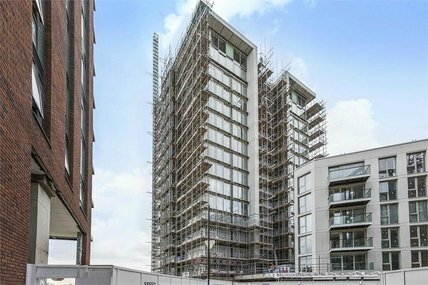 Harbour Central is a new development by Galliard Homes set to open in 2019. It will include five residential buildings and will include a leisure complex with a gym and spa. Royal Victoria’s Floating Docks is still awaiting planning permission, but if it goes ahead it will be the first floating village in the UK. It will be 15 acres in sized will have 50 homes. Construction has begun on Wapping Artist Quarter, a new complex of shops, galleries and restaurants, which will include 90 studios. 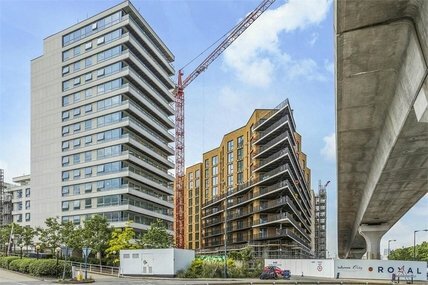 Marine Wharf East will add a number of new apartments in Surrey Quays. The Docklands has a fascinating history. It was originally known as the Pool of London, and later it became part of the Port of London, which was the largest port in the world. In the Victorian period, it was expanded with the building of many more docks, including the West India docks, Royal Victoria docks, King George V docks and more. However, it was heavily targeted by German bombs during the Second World War, and when ships became too large for the port during the 1960s, the Docklands lost its main trade. In the 1980s, the redevelopment programme began. The London Docklands Development Corporation (LDDC) was established in 1981, and the area was turned into one of the most important financial districts in London. Skyscrapers were built, the DLR was constructed, and derelict warehouses were turned into expensive apartments. The area is still being developed, and it is now one of the most exclusive areas of the capital. The Docklands has excellent transport links, making it easy to travel to and from elsewhere in London by tube, overground and bus. The computer-controlled DLR is the main mode of transport in the Docklands. It has a number of stations along its route including Limehouse, West India Quay, Poplar, Heron Quays, Mudchute, Island Gardens and Greenwich among others. Overground stations in the area include Limehouse, Surrey Quays, Rotherhithe, Maze Hill and Greenwich. The Thames Clipper stops at Canary Wharf. See the route map here. Canary Wharf – located at the heart of the Docklands, Canary Wharf is home to One Canada Square, which used to be the tallest building in the UK. Here you will find plenty of bars, restaurants and shops, and it is also home to many businesses. The Museum of London's Docklands – only five minutes from Canary Wharf on West India Quay, here you will find out about the history of the area, the docks and the River Thames. It is housed in a warehouse from the 19th century. Mudchute Park and City Farm – this 13-hectare area is a peaceful place that is popular with walkers. It provides views over Canary Wharf, and it is located a few minutes from the Crosshabour DLR station. Greenwich – you can reach Greenwich on the DLR and there is lots to do in the area, including the Cutty Sark and the Fan Museum. The Thames Flood Barrier – head to the Thames Barrier Park to get a good view of the barrier. The Royal Artillery Museum – visit this fascinating museum by travelling to Woolwich Arsenal DLR station. Parks – there are many parks to visit in the area including Canada Square Park and Jubilee Park.